Whenever I have an abundance of any kind of produce my first instinct is to always dehydrate it. Dehydrating is a great way to preserve food without diminishing the nutrients in the produce. Also, when you dehydrate food, the finished product takes up so much less room as apposed to freezing or canning. 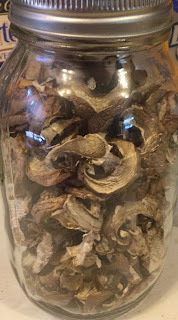 Today we are dehydrating mushrooms. 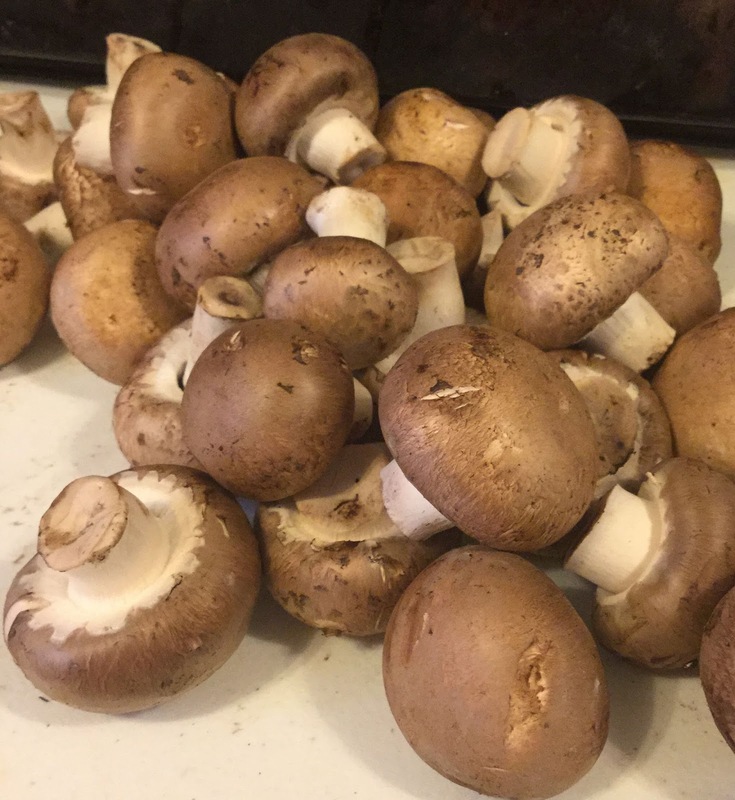 Mushrooms are a good source of iron, selenium, potassium, & phosphorous. They also contain the vitamins D, C, Niacin, and folate. To dehydrate mushrooms, just wash each mushroom well first. 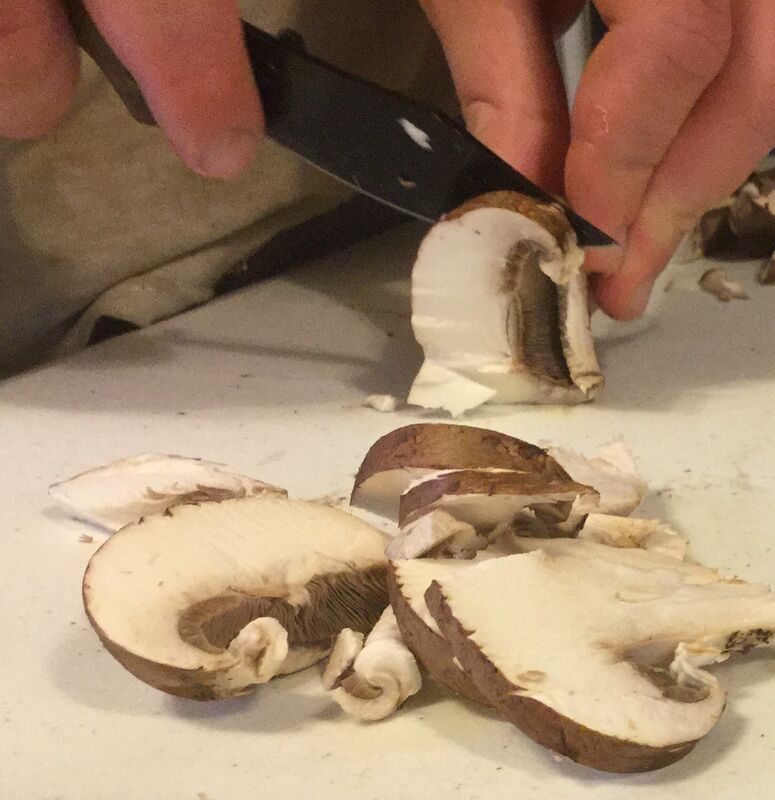 Then slice each mushroom. Once they are sliced, place the mushroom slices onto your dehydrator trays. The end pieces and assorted pieces that you may normally throw away, place on the dehydrator also. 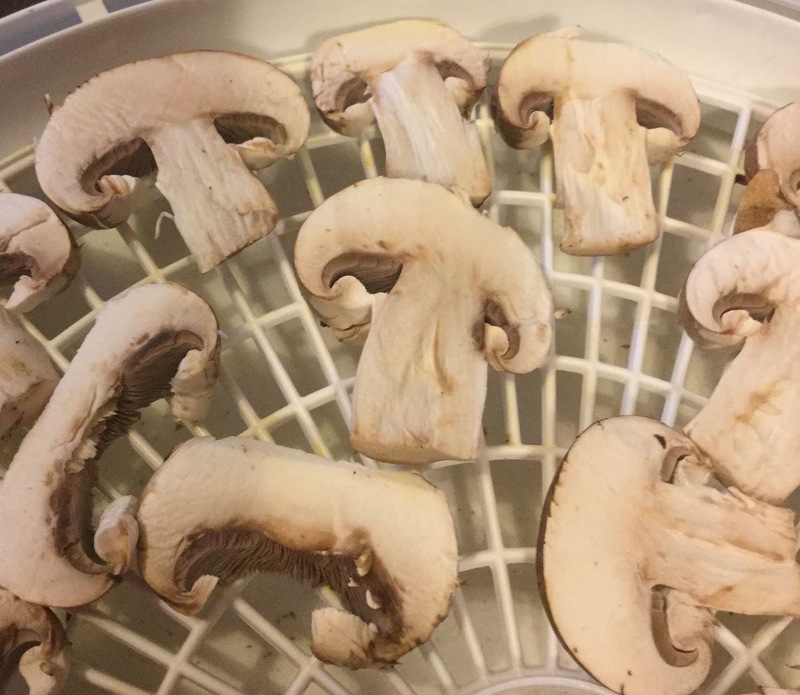 These odd end pieces are what you can dehydrate for mushroom powder. Place the trays in your dehydrator and turn it on for about 4-6 hours. When the pieces are completely dry, place the slices in a jar and seal. The dehydration process really enhances the taste of mushrooms. We use ours in soups, stocks, stews, and casseroles. To rehydrate, soak the mushrooms into hot water and let them soak for 30 minutes and then use them as a pizza topping; in gravies; in spaghetti sauce or toss into an omelet. The ends and odd pieces I toss into the blender once they are dried and make mushroom powder. 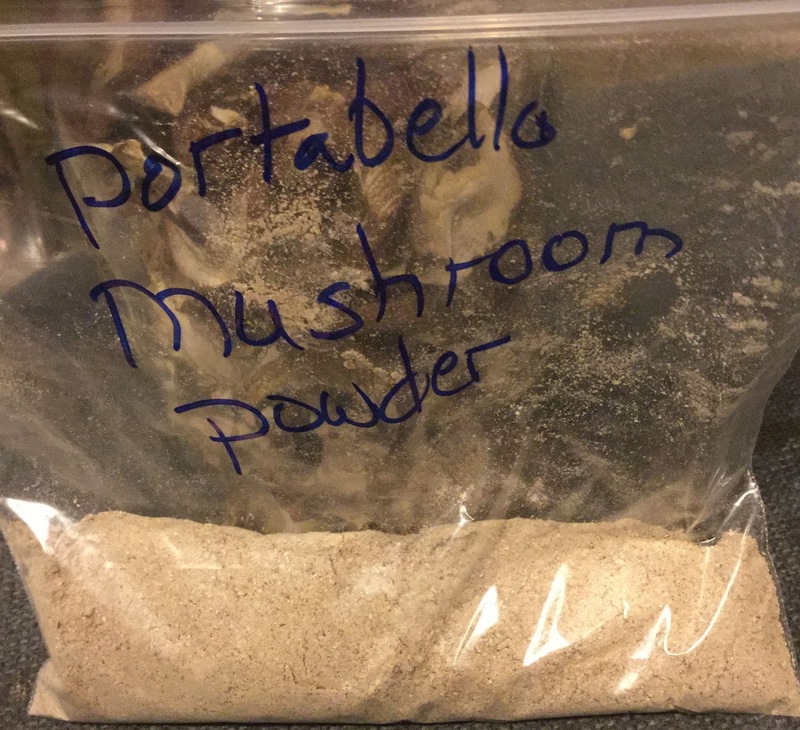 Mushroom powder gives food a "meaty" flavor without the texture of mushrooms. You still get the boldness and flavor but many people are off-put by the texture so this is one way of getting past that. As a powder, you can sprinkle it into omelets or into a salad. I also like to add a tablespoon or two into soups & stews. Or better yet, add some into meatloaf, burgers or your spaghetti sauce. The ideas or endless. Other powders that I usually make include: Spinach powder, Sassafras powder, and Tomato powder. Dehydrating is a great way to preserve your harvest. When you dehydrate fresh cauliflower you are ensuring that you have cauliflower in stock at your home when ever you need it (whether it is the middle of winter or not). The dehydrated cauliflower can easily be rehydrated when needed and used just as you would use fresh cauliflower. It is great on it's own or you can add it into mashed potatoes, casseroles, soups or toss it into a salad. Wash your cauliflower well and then core it and cut it into pieces. Many people will tell you to blanch it first but I have dehydrated cauliflower both ways and found NO difference so I would skip this monotonous step. Place the pieces onto your dehydrator trays. 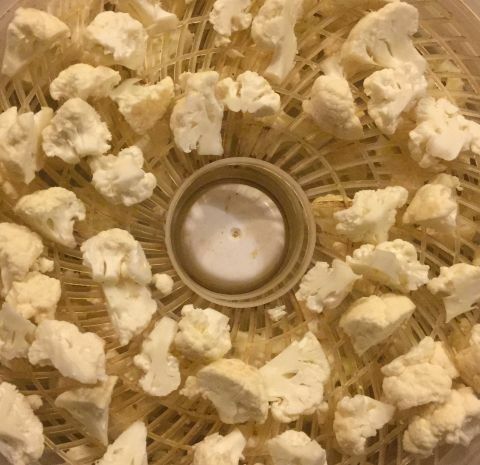 Turn on your dehydrator and dehydrate about 8 hours or until the cauliflower is brittle. To rehydrate, place in a bowl of ice water for 30 minutes and then toss into your favorite soup recipe, casserole, etc. If you are eating cauliflower as a side dish on its own, soak in the iced water for 30 minutes and then place in boiling water for 15 minutes. I also dehydrate turnips and parsnips.